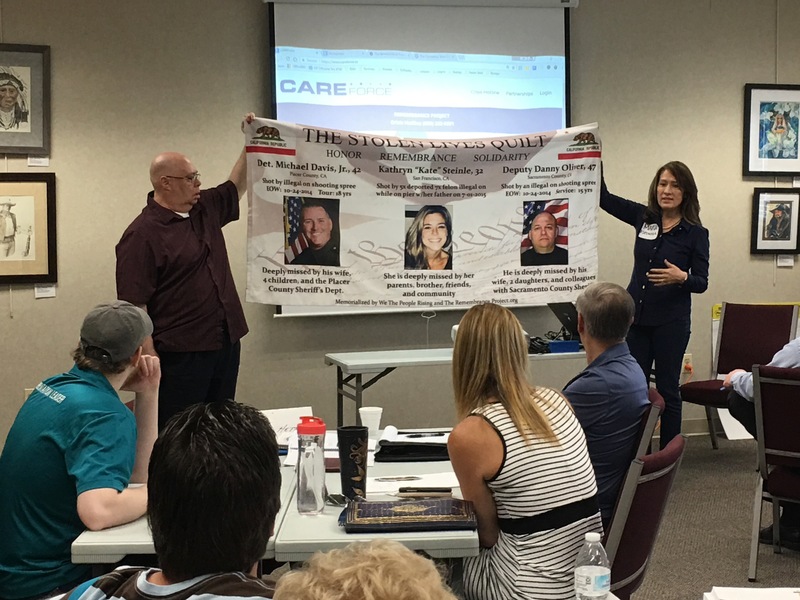 Maria shared with the class the Stolen Lives Quilt and some of the stories behind the families that have been devastated as a result of crimes committed against them and their families. The Quilt is made up of 3′ x 6′ banners that display the faces, names, and short story of three victims. The Quilt is intended to be taken to and displayed at rallies, city council meetings, vigils, and state houses across America; anywhere we can to remind people of the continuing injustice, unspeakable loss and suffering of our families. Since late 2012, The Quilt has reached more than 16 states. 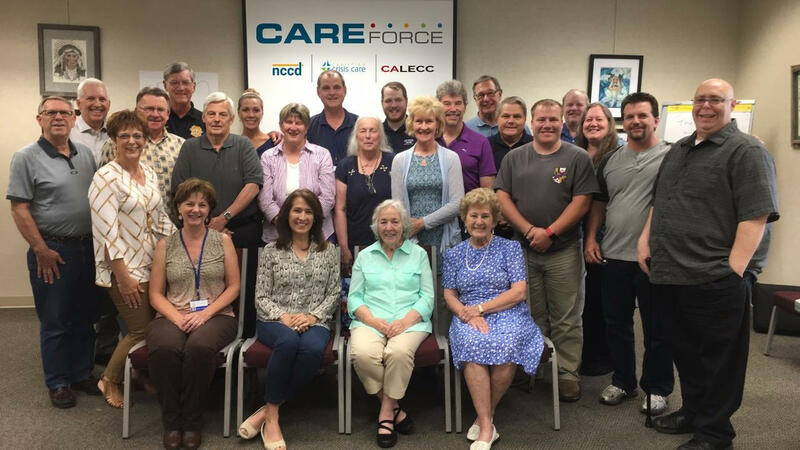 We’re working hard to memorialize victims in every state. We need you to be our eyes and ears, and to build America’s Quilt that serves to inform leaders that we are taking a stand for the sake of our American families who are victims of illegal alien killings. 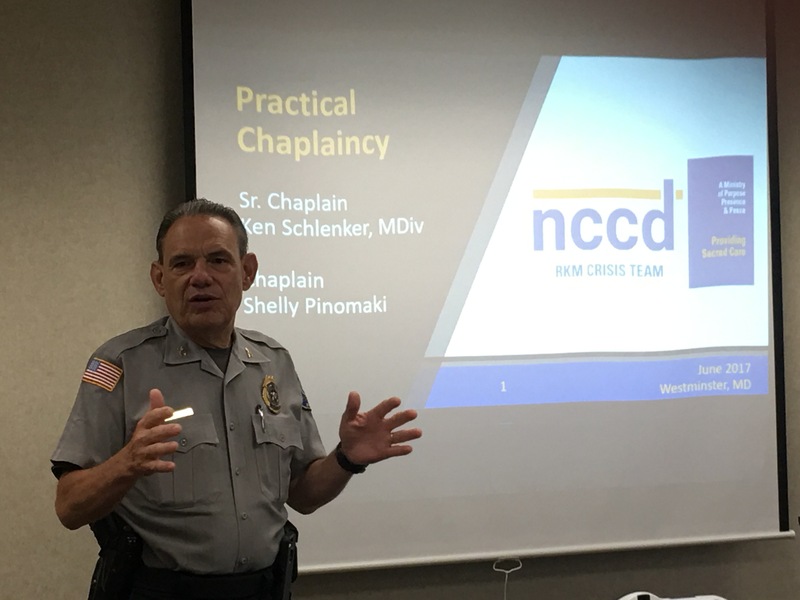 Having a number of our chaplains serving locally, we were honored to once again have Chief Spaulding of Westminster Police Department address our class. We officially promoted Chaplain Jean Walker to Senior Chaplain for her outstanding service in her role in the Jails. 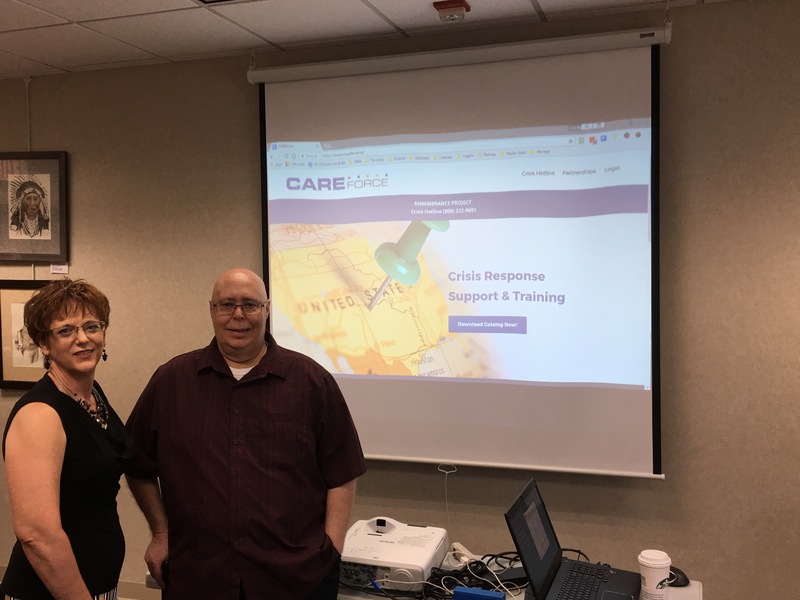 And we introduced our latest ministry Christian Crisis Care being led by Senior Chaplain Shelly Pinomaki. As always small group activities abounded! As you can tell A LOT is going on with us. Please keep all in prayer.